I tried pushing this thing in preview form a while back. I’d rather give it away for free than have no one look through the whole thing. 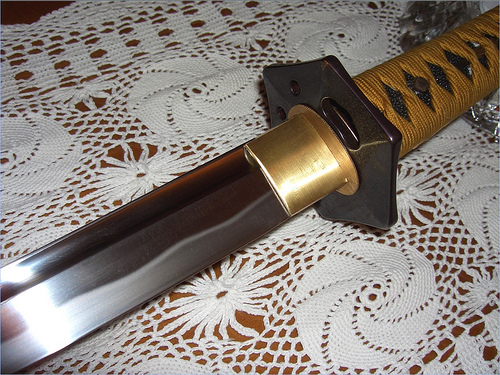 It’s about Japan, swords, samurai, art, culture… and more swords. Essentially, if I want to talk about swords in the future, I’ll point people here. If nothing else, take a look at the pretty pictures I gathered. This entry was posted in Art, Culture, Japan and tagged art, culture, Japan, katana, samurai, swords. Bookmark the permalink. How would I download a copy of this ebook? And if possible where could I locate other useful evokes in the Japanese sword arts?